Husbandry Aide Becky Echtenkamp works with multiple animals through several exhibits at Newport Aquarium. Exhibit(s) in which you work: Half of Frog Bog, Live Foods and coverage on all “Rainforest” exhibits (i.e. Turtle Canyon, Croc Town, Cold Penguin, Warm Penguin, etc.). Month and Year in which you began working at NAq: May 2012. What is your favorite animal at Newport Aquarium? Simon the African Penguin. What has been the most rewarding experience while working at NAq? Being exposed to new things/animals/techniques. What’s your favorite part of your job? The people and their positive outlooks. 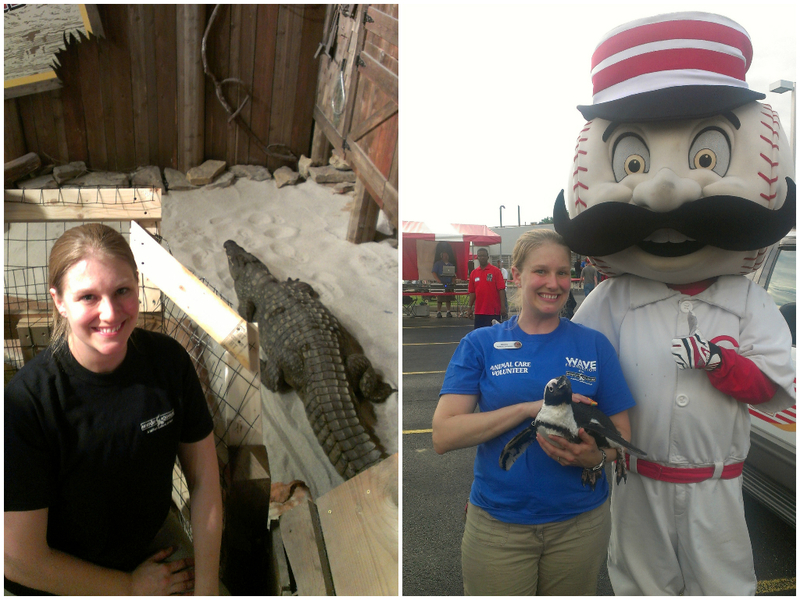 How and when did you decide to get into the zookeeper field? I have wanted to work with animals since I was very little (less than 5) and I went to school specifically to do this. This entry was posted in 15-Year Anniversary, Zoo Keeper Week and tagged American Association of Zoo Keepers, animals, husbandry, newport aquarium, zookeeper by NewportAquarium. Bookmark the permalink.